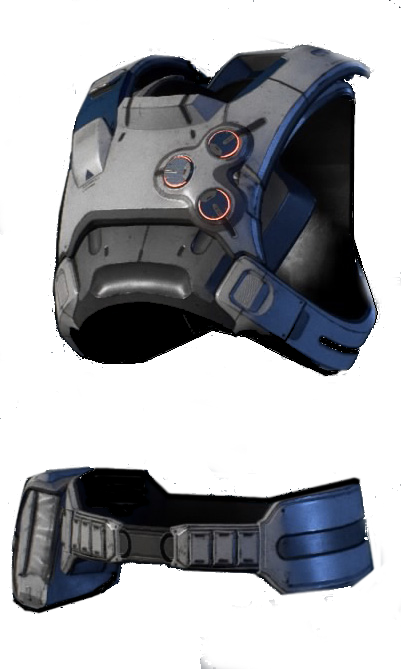 Initiative Recon Chest is a Chest Armor in Mass Effect Andromeda. It can be purchased from Merchants or developed from Blueprints via Crafting. "Standard-issue Andromeda Initiatve hardsuits are designed for exploration as much as combat, combining jump-jets high-grade external and internal sensors, and a variety of atmospheric filters with the usual kinetic barrier generators and ceramic armor plating. Upgraded hardsuits record vast amounts of environmental data and have increased damage absorption capacity."